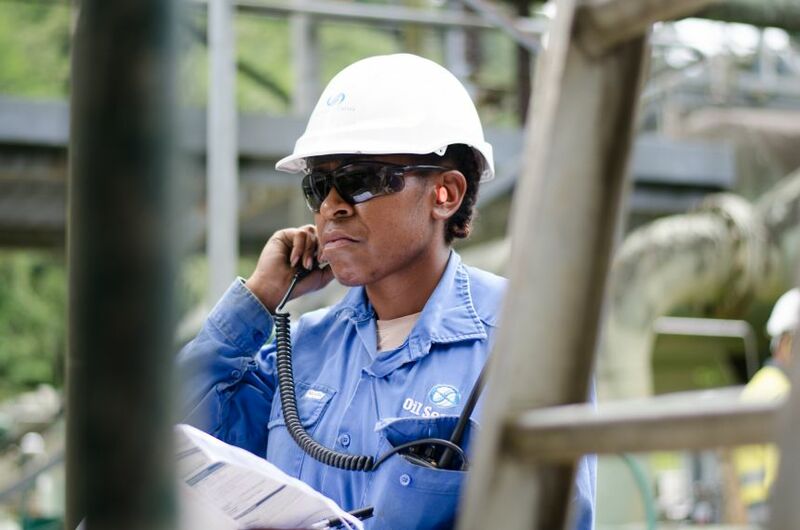 We operate all PNG’s currently producing oil fields, which commenced production in the 1990s. Our production assets have low operating costs and sustaining capital requirements and generate positive cash flows even at lower oil prices. We continue to have strong operating performance, with success in optimising production through new development wells, workovers and active reservoir management, together with a reduction in facility downtime. We are also responsible for operating the liquids export system, which handles our operated oil production and liquids associated with the PNG LNG Project. Work on extending the operating life of key facilities, including the Kumul Marine Terminal and the export line, which were completed as part of the PNG LNG Project development, has increased the reliability of our PNG operations, which is integral to meeting the Company’s PNG LNG obligations. Since taking over operatorship of these mature fields in 2003, we have been successful in mitigating the production decline rate and adding to reserves through an active development drilling programme. The Kutubu Oil Project, which was PNG’s first commercial oil field development, is located in the Southern Highlands of PNG. Oil was first discovered at Kutubu in 1986 and commercial production commenced in June 1992. The Kutubu development comprises a network of wells that produce oil from the Iagifu-Hedinia, Usano and Agogo fields, a gathering system, on-site processing facilities (the Agogo and Central Processing Facilities), supporting infrastructure, a 270 kilometre crude oil export pipeline to the coast and a marine loading terminal in the Gulf of Papua. The pipeline operates under Pipeline Licence 2 (PL 2), while the oilfield operates under Petroleum Development Licence 2 (PDL 2). Both licences were issued in December 1990 for a term of 25 years and were extended in December 2009 until December 2035. Oil production from the Kutubu field peaked in 1993 at 130,000 bopd gross. Although still a strong contributor to Oil Search's base oil business, the Kutubu field is well into its decline phase due to natural field depletion. However, efforts over the past several years to arrest the oil production decline have been highly successful with additional production resulting from the drilling of development wells at Kutubu, Agogo and Usano. The Kutubu field is also one of four Associated Gas fields (Kutubu, Agogo, Moran, Gobe Main) that will contribute approximately 20% of the total gas feedstock over the life of the PNG LNG Project. The Greater Moran Oil Project straddles three licence areas, PDL 2, PDL 5 and PDL 6 and is located in the Southern Highlands Province, 480 kilometres north-west of Port Moresby. The first Moran well was drilled in June 1996 and oil was discovered in September 1996 when the Moran 1X well sidetrack, which is located within PDL 2 (the licence area hosting the Kutubu Oil Project), encountered oil-bearing sands. Production commenced from the field in January 1998 by way of an Extended Well Test (EWT) programme, producing oil from the Moran 1X, 2X and 5 wells, all of which are located within PDL 2. An EWT on Moran 4 located in PDL 5 (PPL 138) commenced production in April 2000. In March 2001, the Central Moran Unit Agreement between the PDL 2 and PDL 5 Joint Venture partners was executed and full field development of the Central Moran Project was completed in September 2002. Oil recovery by injection of Moran solution gas supplemented by Agogo gas to maintain reservoir pressure. Moran production is processed at the Agogo Production Facility (APF) and liquids are then piped to the Central Production Facility for further processing, storage and export through the export pipeline. The Moran PDL 5 participants pay a tariff to the PDL 2 and PL 2 partners for processing and transporting crude through the Kutubu system. In late 2003, NW Moran, an extension of the Moran field towards the north-west, into PPL 219, was discovered. In September 2005, an Extended Production Test (EPT) of the NW Moran 1 well commenced, following the construction of a 23 kilometre pipeline linking NW Moran into the APF. This, together with infrastructure debottlenecking, the drilling of additional infill wells and active reservoir management using swing well optimisation, regular zone changes and targeted gas injection, has resulted in an increase in production rates in recent years. In late 2006, the PDL 2, PDL 5 and PPL 219 (now PDL 6) joint venture partners agreed to establish a single Greater Moran Unit across the Moran and NW Moran fields. The unitisation split is 55:44:1 to PDL 5, PDL 2 and PDL 6 respectively, giving Oil Search a 49.51% interest in the Unit. A Petroleum Development Licence over the NW Moran field, PDL 6, was awarded in 2008. The Moran field is also one of four Associated Gas fields (Kutubu, Agogo, Moran, Gobe Main) that will contribute approximately 20% of the total gas feedstock over the life of the PNG LNG Project. The Gobe Oil Project comprises two producing oil fields, namely the South East (SE) Gobe oil field and the Gobe Main oil field. SE Gobe was discovered in early 1991. The SE Gobe discovery was significant because for the first time, commercial quantities of oil in the Iagifu sandstone were found. Prior to this, the majority of oil had been discovered in the Toro sandstone. The Gobe Main field was discovered in December 1993 and is located 5 kilometres to the north-west of the SE Gobe field. Oil reserves in Gobe Main are also contained in the Iagifu sandstone. In December 2001, the Saunders field was discovered in Petroleum Development Licence 4 (PDL 4). The Gobe Main field is wholly located within PDL 4, while SE Gobe straddles the boundary of PDL 4 and adjoining PDL 3. Originally, 55% of SE Gobe oil reserves were attributed to PDL 4 and the balance to PDL 3. A re-determination, effective from June 2001, revised the oil split to 59% in PDL 3 and 41% in PDL 4. Oil is exported via an 8 kilometre pipeline which joins the Gobe Processing Facility to the Kutubu Export Pipeline and marine loading terminal in the Gulf of Papua. The Gobe Project pays a tariff to the PDL 2 and PL 2 participants for the use of the export pipeline and infrastructure. The construction of infrastructure and production facilities for the Gobe Oil Project was completed in early 1998 and the first crude oil flowed from the Gobe Main field in March 1998 and from the SE Gobe field in April 1998. Production peaked in December 1998 at 18,500 bopd gross from SE Gobe and at 20,000 bopd gross from Gobe Main in September 1999. In early 2005, the SE Gobe 11 well discovered an oil column in an undrained area of the SE Gobe field, located between Saunders and SE Gobe. An appraisal/development programme took place during 2006 to exploit this area. Both fields are now in their decline phase, but active well management and facility optimisation is ongoing, to mitigate the fields' natural decline rates. The Gobe Main field is also one of four Associated Gas fields (Kutubu, Agogo, Moran, Gobe Main) that will contribute approximately 20% of the total gas feedstock over the life of the PNG LNG Project. The Hides gas field, located in PDL 1, was discovered in 1987. It is a large anticlinal structure, approximately 30 kilometres long and five kilometres wide. The majority of gas production from the Hides field is dedicated to the PNG LNG Project (Operated by ExxonMobil). However, a small proportion of the production provides gas to the Hides Gas-to-Electricity Project (GTE), which commenced in 1991 and is operated by Oil Search. The Hides GTE Project consists of a pipeline (PL 1) connecting the Hides 1 and Hides 2 wells to a small gas conditioning plant at the Hides Production Facility (HPF) located in the Tagari River valley. Sales gas is then used by the Porgera Joint Venture to generate electricity in an adjacent facility. The electricity is transmitted to the Porgera Gold Mine by overhead wire. Condensate produced with the gas is distilled into naphtha and diesel which is used within the Hides facility and sold into the local market, with the balance transported by truck to the Central Processing Facility at Kutubu for export. Gas is purchased from the PDL 1 Joint Venture, and Oil Search operates and owns 100% of the GTE project. The gas is sold under a long-term gas supply contract which was revised in the first half of 2012.